tl;dr: Tech layoffs are slowing, but things aren’t that much better. Since we last discussed tech layoffs, over 20 high profile layoff announcements — LivingSocial (280 staff), 3D Robotics, and First Data (129 employees), etc. — have occurred. 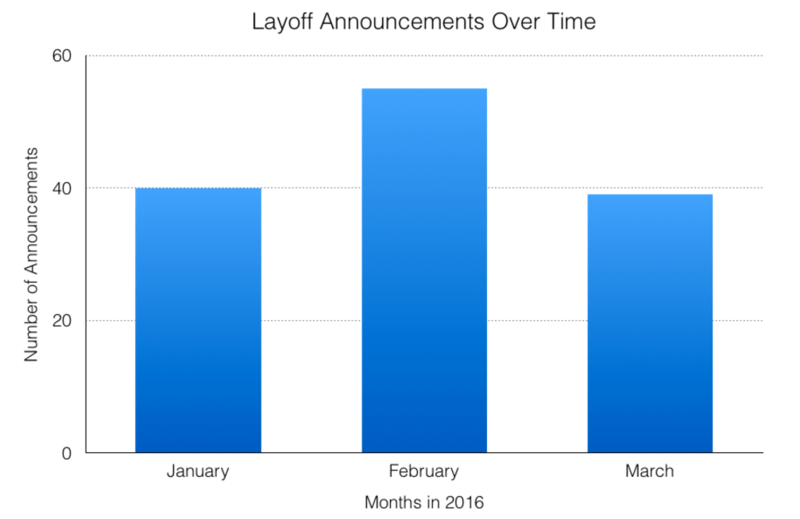 To date, my data suggests that at least 130 tech-related rounds of layoffs that reached the media have occurred in the first quarter of 2016. That’s up from 109 in our last report in early March. A smaller increase than you expected? I agree. 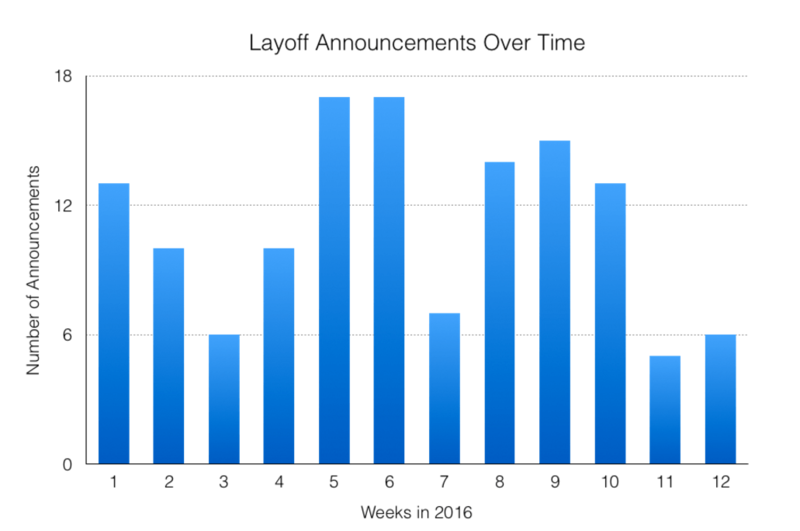 From the first day of the year to our initial report, tech layoffs averaged 1.55 announcements per day. Since that period, the figure is 1.17. That’s only partially useful, as we are comparing arbitrary units of time, but it does say that things have at least not gotten worse. In the chart below I plotted the number of announcements across the first 12 weeks of the year, collected using a news-based analysis method. While there is no clear trend to the number of layoff announcements week-to-week, it appears to average around 10 companies every 7 days. Weeks 5 and 6 stand out. Their prominence puts the worst of the current layoff cycle before the mid-quarter mark. Perhaps things are getting a bit better. It will be interesting to see if there is any relationship between layoffs, and quarter-to-quarter activities. Earnings, for example. It may be that companies are currently announcing, or leaking staff reduction figures ahead of earnings to head off potential investor complaint during the current correction. We’ll report again after the coming earnings cycle sees itself through. Let’s take a look at the aggregate number of layoff announcements that we’ve tracked so far this year. As you can quickly see, the first and last months of the quarter are on rough parity. It seems that the market has set a pace for public, news-worthy technology layoffs at around 40 a month, February aside. Large, public layoffs are a lagging indicator. And not all layoffs make it into the media, so we can’t track every event. Layoffs of a certain minimum size are news, but not every exit merits a byline. So when we discuss layoffs based on notability, we are capturing a moving snapshot of larger reductions in staffing. For now we see through a glass, darkly. Technology companies are not cutting employees for a single reason, and staff reductions are not focused on a single stage of company. In the public markets companies like Yahoo and HP are fighting for relevance years after preeminence. It is far more difficult to be a company in transition when investor expectations are tightening, as you have less room to maneuver. The public squeeze extends to younger companies, as we have discussed, including Fitbit, Etsy and others. It may be that the real estate market in San Francisco is set for a correction in the negative — which is ironically positive — sense. In the private market, companies shedding staff are doing so for a variety of reasons. Earlier this week, Kickstarter phenom Pebble laid off 25 percent of its workforce, citing a need to be self-sufficient. The wearables market has proven volatile with shares of Fitbit falling 50 percent so far this year. Investors being skittish about less-mature companies in the space are hardly overreacting. And companies like Spoonrocket, which recently shut down, are dealing with the potentially thorny fact that simply being on-demand, and using cheap contract labor does not delete all the difficulties that have always made local and now hard challenges to crack. Continuing the ‘it’s harder now to raise theme,’ an essay went out today from John Sheehan, part of the Runscope team. He is laying off most of his staff, and leaving the Bay Area. Cause of death? Over the past year everything at the company was going according to plan. We were growing and meeting all our goals. However, the fundraising market was not favorable and deteriorating quickly. We just couldn’t get our progress aligned with the stage the investors bucketed us in. By December it was apparent no new funding was going to be available. We were a long way from self-sustaining. The best option was to pursue an acquisition. All this goes to say that the current damage is from the top down and the bottom up. Don’t forget how not to die. Featured Image via Flickr user Gabriel Porras under CC-BY 2.0. 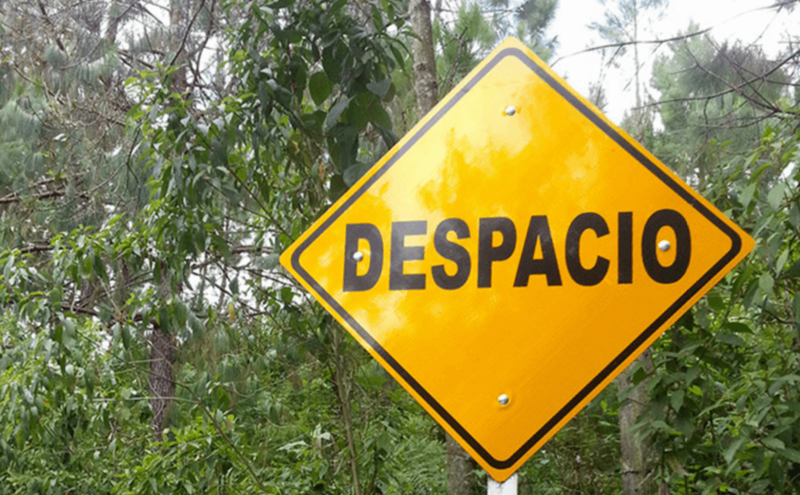 Image has been cropped.